Worried about the RAM of your mobile to run the applications? Is your device memory not allowing you to host most number of Apps you want to host in your mobile? If answer is “yes”, then the new technology of Mobile Cloud Computing (MCC) is one of the solutions we will get in coming time to over come this issue. Before going to Mobile Cloud Computing (MCC) let’s understand Cloud Computing. In general terms Cloud Computing is a model in which all the computing resources are hosted at particular place just say third party data center or a private data center, which can be accessed through internet or internal LAN. In this model you don’t have to take the responsibility of hardware and will have freedom of accessing the data from anywhere (depending upon the organization policy). Hope this must have cleared your idea about the model of cloud computing. Now let’s see what is Mobile Cloud Computing (MCC)? And how it is going to impact or influence the mobile market in coming days? In general terms we can say that Mobile Cloud Computing model gives power to developers to build a mobile specific application without boundation to mobile operating system and hardware of the Smartphone also giving power to user to access the application through mobile browser or webserver. The basic of MCC is you don’t have to install the client application on your device to access the application you just have to access the app through your browser over internet and have a rich experience of Application. With increasing number of apps and need of apps, in coming five to ten years Mobile Cloud Computing will be one of the game changer in mobile industry. Below are some of the points that show how MCC will be a game changer in coming future. With HTML5 standard it is easy to design apps that rely on the mobile cloud. HTML5 supports offline caching that enables the app to use the mobile cloud better while still providing a gracefully degraded service when the device is not connected to the network. Consumer are now increasingly buying things from the mobile commerce stores and also using the mobile phone as their wallets. These applications are enabled by the mobile cloud infrastructure. With increasing mobility, dependency on the mobile has increased along with the chances of theft and fragility. In this scenario the data protection is one of the major issues people face. To over come this issue cloud is one of the best options. Now a days devices that a single person uses varies from 4 to 5 with couple of mobile, tablet, PC, laptop, etc. in this scenario accessing data from all the devices is one of the pain in current scenario, which we can over come with Mobile Cloud Computing (MCC). 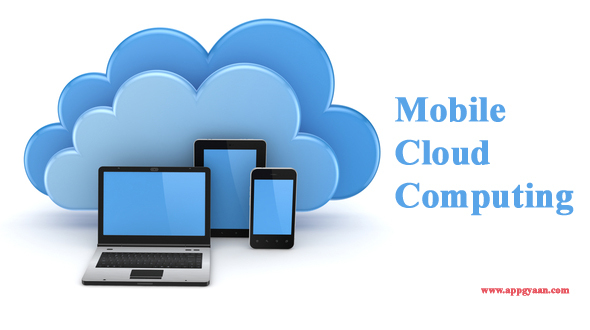 Mobile Cloud Computing is one of the major changes we will see in coming days. Hope you have enjoyed the post, do share your feed back in comment section below. You can also subscribe to our RSS FEED for all the updates directly into your mail box.